The Internet can be both a useful tool and a destructive force for a church. On one hand, the Internet allows churches to market inexpensively to potential churchgoers and to quickly and efficiently relay news and information to members and supporters. On the other hand, the Internet can bring lewd and inappropriate content into the church with a push of a button; allowing for the immediate circulation of rumors and outright lies about the organization and its leadership; and even subject the church to liability for sexual harassment, copyright violations, and a host of other legal claims. Here are some recommendations for reducing your organization’s susceptibility to legal claims resulting from usage of the Internet, email, and social networking sites. Prohibit employees from using church computers to visit lewd or pornographic websites or websites which promote violence or discrimination on the basis of race, color, national origin, religion, gender, or disability. The presence of websites like these in the workplace may form the basis of a harassment lawsuit by other employees who find the websites offensive. If any employee violates this prohibition, take disciplinary action. If the employee continues to violate the prohibition, terminate the employee. Forbid employees from sending or posting abusive, profane, or discriminatory messages via the Church’s computers, cell phones, or email addresses. For example, church employees should never post derogatory or inflammatory remarks about an individual’s race, age, gender, disability, national origin, or physical attributes. Instruct employees not to shop online for personal items from their work computer. 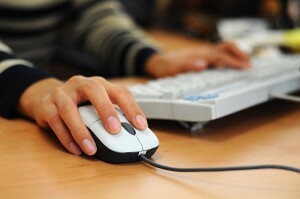 If an employee purchases items online from his or her work computer, the church may be held responsible for paying for the items if the employee fails to do so. Inform employees that all on-line activities via the church’s computers are subject to monitoring. While a church should never access an employee’s personal computer or personal email account, the church is free to monitor its own computers and to review all documents stored on its hard drives and servers and all emails to and from church-owned email addresses. Caution employees regarding the pitfalls of violating third parties’ copyrights and trademarks. The church should never post anyone else’s story, song, video, or photo without specific permission. Unauthorized posting of materials like these is a violation of the owner’s intellectual property rights, even if the owner has not formally filed a copyright or trademark registration. If permission can’t be obtained, post a link to the material instead of posting the material itself. Ensure that employees’ personal websites and social networking pages do not suggest any official affiliation with the church. Employees should not make any reference to the church in the title of their personal websites, blogs, or usernames, since doing so may suggest to the that the employee’s postings reflect the views of the church. Employees should be permitted to identify where they work in their websites, blogs, or posts. But, but when in doubt, employees should always make clear that the views that they post to any public site are their own and not the views of the church. Remind employees that they should never post any confidential information pertaining to the church, its members, or leaders. Releasing confidential information can subject a church to liability (or at least considerable embarrassment) whether the release is from the church’s network or from the employee’s personal site or page. Employees should never discuss information regarding counseling, church discipline, compensation of church leadership, giving habits of members, etc. on any personal blog, site, or social networking page. Finally, do not prohibit employees from merely discussing non-confidential work matters on their own sites or pages. Federal law protects the right of employees to discuss working conditions with each other, even if these discussions are made in public. In fact, at least two administrative law judges have recently held that employers do not have the right to discipline employees for Facebook postings critical of their employer. When drafting written policies and procedures regarding use of the Internet and social networking sites, contact an attorney familiar with these issues. Dan Beirute may be reached at 918-392-1956 or click on the link below.